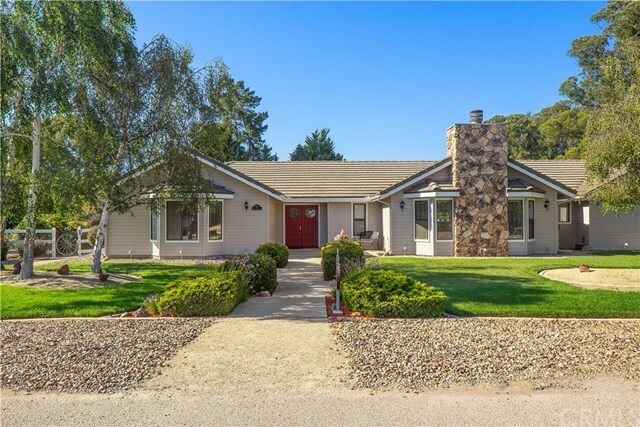 Welcome to this beautiful ranch style charmer in the heart of the Central Coast. Nipomo is graced with warm Mediterranean climate and small town feel, yet close to San Luis Obispo, Arroyo Grande, Pismo Beach, or to the north, Santa Maria, Santa Ynez Valley and Santa Barbara for all the larger city amenities you might desire. This lovely home boasts 4 lovely bedrooms, 3 bathrooms, 2,686 Sq Ft of living space, 3 car garage, plus an additional 2 car or workshop/garage with full bathroom. Space for RV and other toys. Horse pasture and stall. Lovely garden with two sitting areas for entertaining. Apple, orange and tangelo (Tangerine/Orange) trees for healthy eating. Water softener. You wont believe it till you see it. This property has been well cared for, maintained and loved. Call today for a private viewing.